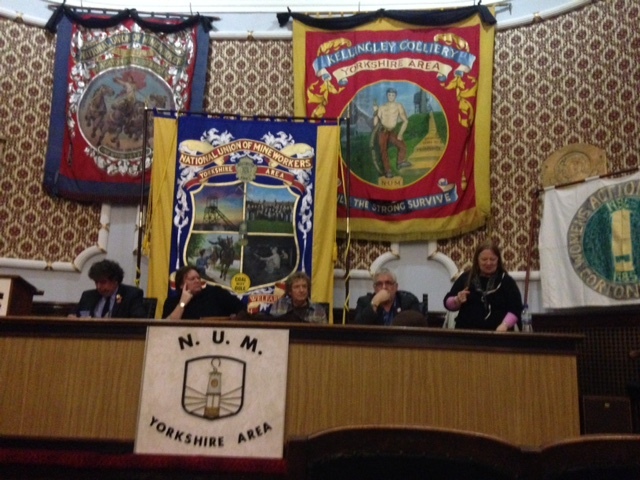 Barnsley Trades Council had a 50 strong public meeting last night with Ian Hodson of BFAWU and Liz Lawrence of UCU speaking. It was a good start to our campaign against the Tory attacks on unions. We are obviously pushing for a big turnout on November 2nd and are starting building our second public meeting entitled “Defy the Tory anti-union Laws” with Steve Turner and Tosh McDonald speaking. It will be in the Yorkshire Miners Hall, Victoria Road at 7pm on Wed. Nov. 18th.Flyers should be available soon.